Look in the SlxClient/SupportFiles and you’ll see a folder called “Custom” which contains three subfolders named “Modules”, “Scripts”, and “Style”. 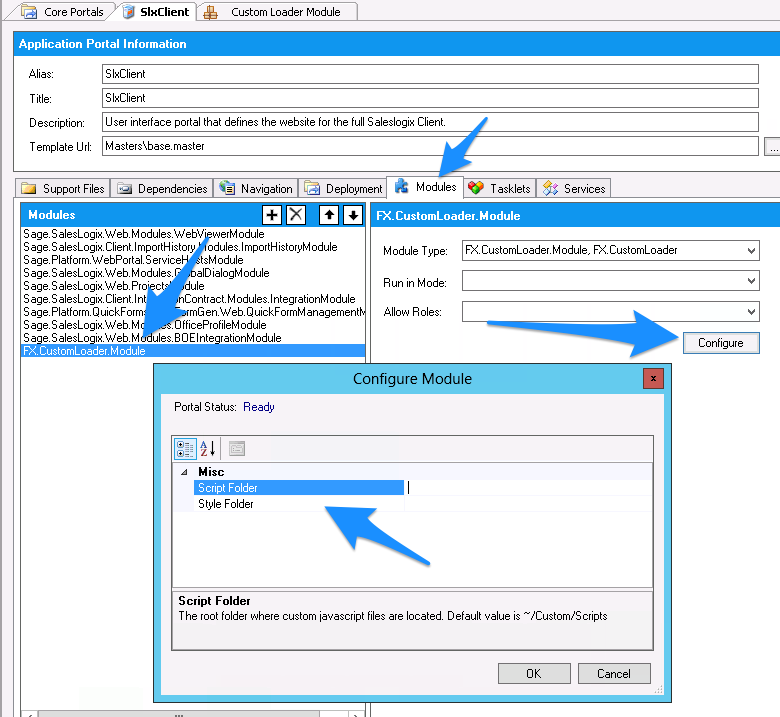 If you’d like to change the folders the module looks in, those are configurable. 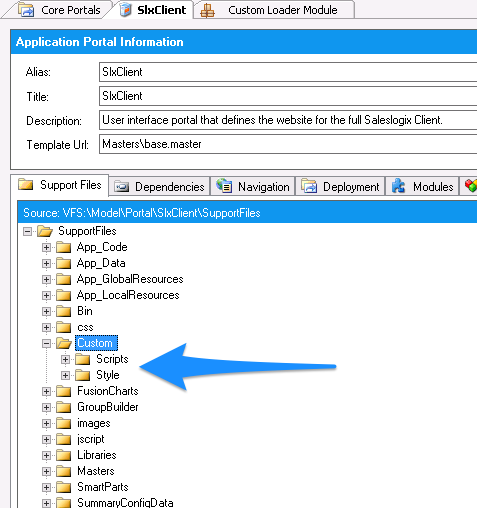 Just go to the Modules tab for the SlxClient, select the FX.CustomLoader.Module and click the Configure button. You’ll get a dialog where you can specify different paths. If you run into any issues, feel free to submit an issue on Github or a pull request. The Custom Loader Module is licensed under the GNU v3.0 License. View the license details. No warranties are given or implied. Use as-is at your own risk.